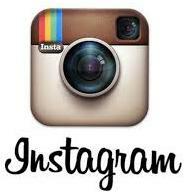 Feedback: 33 comments - leave yours! After the traditional Neapolitan pizza fritta, here is a more Western version with an Oriental twist, from the Edinburgh fish-and-chips where I had my first taste of the Scottish Diet. 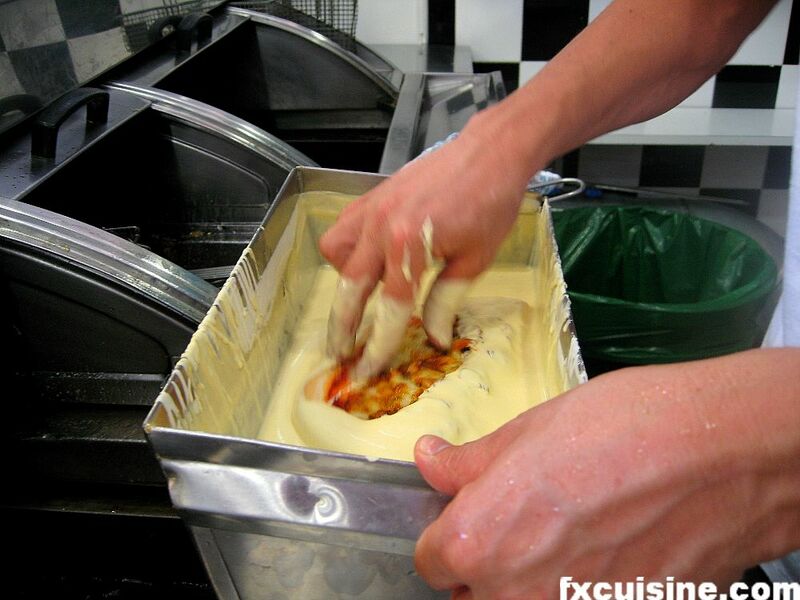 An already baked pizza is dipped into the fish-and-chips batter ... then dipped again until it is yellow with batter all over. 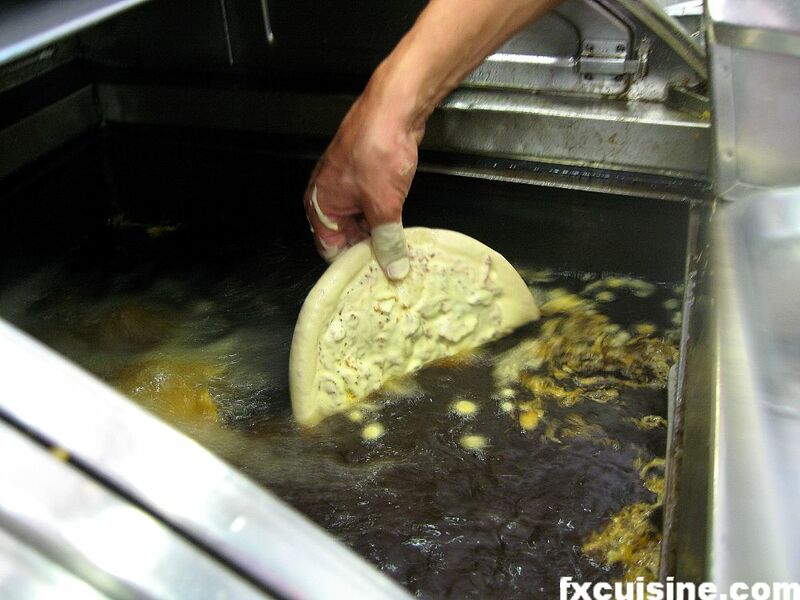 The battered pizza is dropped into the huge container of frying oil used to fry fish and chips. 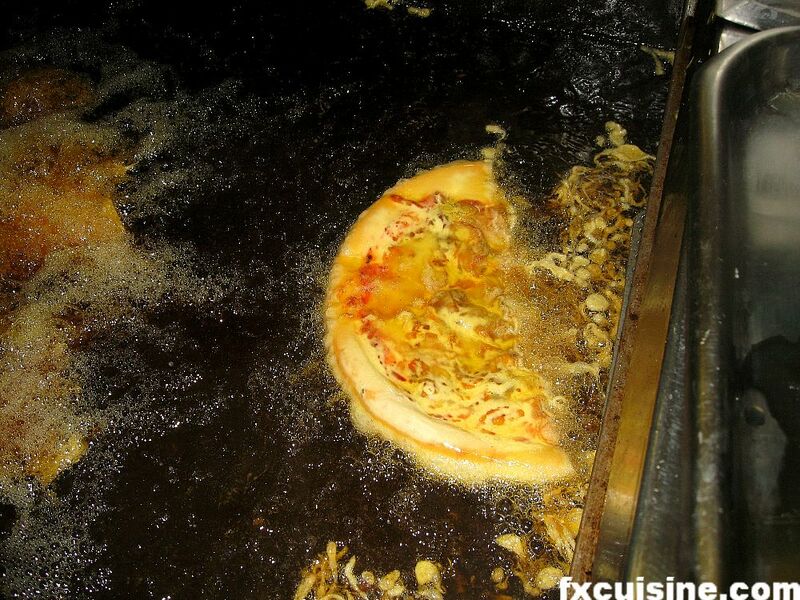 The pizza swims with the fishes until it turns golden. 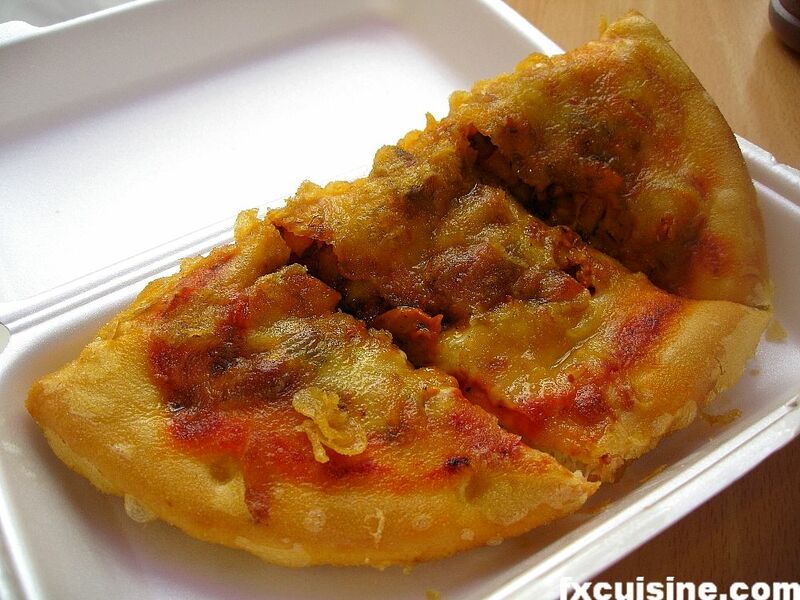 One truly nutritious snack - the deep fried pizza and its crust juicy with frying oil.